Mysuru: Karnataka Renewable Energy Development Limited (KREDL) in association with Teresian College, Department of Biotechnology and Department of Physics, had organised a Special Lecture and Quiz on Role of Renewable Energy and Energy Conservation in Present Scenario at its Golden Jubilee Auditorium in Siddarthanagar recently. The objective was to create a sense of responsibility among students towards the current energy crisis and inspire them to take action to spread awareness on renewable energy resources. The programme also aimed at increasing the knowledge of Post-Graduate Economics students on a range of renewable energy technologies, their applications and economics of use. Nearly 200 students got first-hand understanding of how solar water heaters, solar cooking stoves, street lights and solar LED lamps work. D.K. Dinesh Kumar, Project Engineer, Branch office, KREDL explained about the Renewable Energy progress in India and Karnataka, various schemes available from Ministry of New and Renewable Energy (MNRE)and Government of Karnataka for installing Rooftop Solar Grid connected system, Remote Village Electrification Programme, NABARD Scheme for rural Domestic Solar Home Light systems and Solar Water Pumping Systems. He also explained renewable energy and Energy Conservation opportunities in college and domestic sectors for UG and PG students. Later a Quiz competition was conducted for students. Certificate and Solar Lanterns were given to winners. 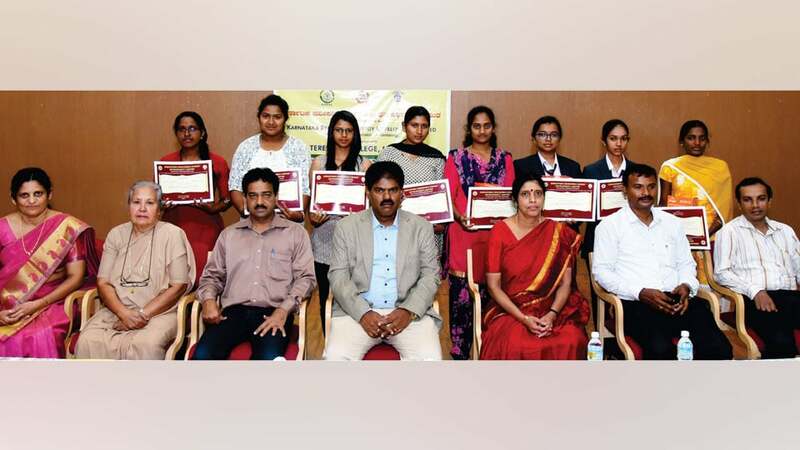 Sr. Dr. Sajitha, Director, Teresian Institute, Sr. Dr. Genevieve, Academic Advisor, Sr. Anjali, Superior, Dr. Veena D Almeida, Principal, Dr. Vinay B. Raghavendra, HoD, PG Department of Biotechnology, Dr. Sudha Rao, Organising Secretary were present.